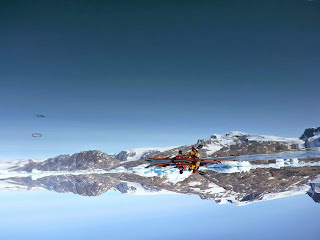 This past summer was another great kayaking season in East Greenland. The weather and ice conditions were good allowing us to explore some new exciting areas. Sermilik and Johan Peterson Fjords were relatively free of ice, as was the coast north of Sermiligaq towards Lake Fjord. As usual all the folk were great, forming a strong team and we had some real adventures, pushing things as far as it was safe to do so. Unfortunately we didn't reach Tugtilik (Lake Fjord) this time round, but already have plans afoot for 2016. 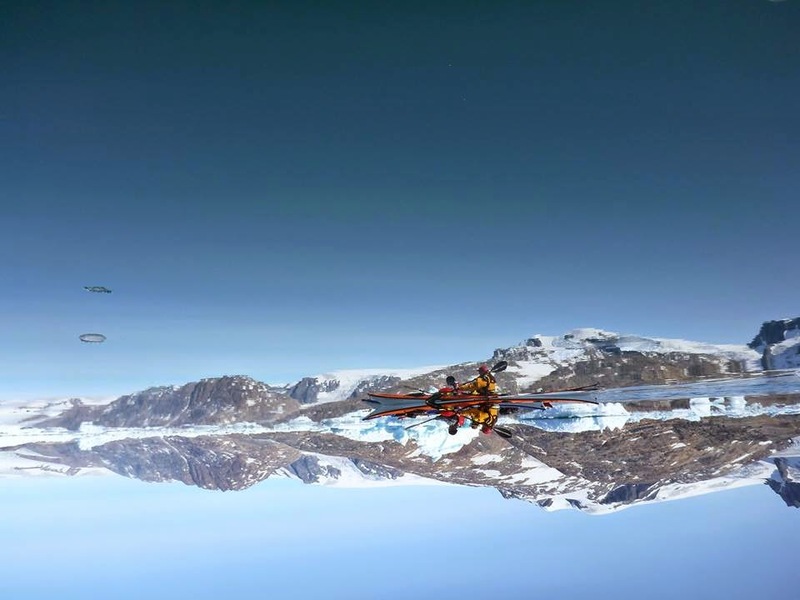 This picture is upside down - thats how calm it can be at times.